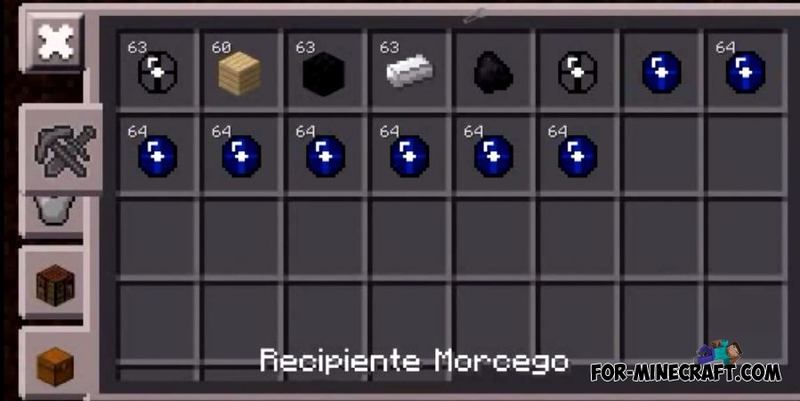 Recipiente De Mobs will allow you to take a mob using a special object, and then let out by another object, quite handy thing. You will be able to use at their discretion, for example, to create its own farm. Soul Shards mod for Minecraft PE 0.12.xThis mod adds to the game souls of mobs that you will get as drop. After collecting a certain number of souls you will be able to craft a spawn eggs of mobs. AgameR More Than Mobs mod for Minecraft PE 0.10.5Are you bored with the same type of mobs in Minecraft Pocket Edition?